Today, as I sit writing this post looking out of the window at the sunshine, I want to ask you a question: What’s on your mind? Before you saw the image with this post did you realise that is what Facebook asks you every time you update your status? Why is it that we happily post on Facebook and Twitter about our thoughts but if I were to ask you that question right now I am guessing the initial answer might be ‘Nothing.’ or ‘Not much’ but is that true? Even discussing ‘What’s on your mind?’ on social media is somewhat of a facade – no one ever really posts exactly what is on their mind. We post modified thoughts, acceptable thoughts, things that will appear funny and engaging. Things that will will portray what we want them them to. What about with God? What do you say when God asks you the same question? Do you modify your answer? Go for the ‘acceptable’ stuff? We are often carrying many thoughts in our mind, it is often full of questions, concerns, worries, to do lists. We can lose ourselves in it all sometimes. I really feel that today God wants to free you from all of that. Free you from your ‘thought baggage’ the things that play in your mind over and over again that you have just accepted and learnt to deal with. The things that wake you up at night that you have never shared. The worries that you can convince yourself you have overcome but that catch you unawares when you are least expecting it. Are you experiencing the freedom of a ‘sound mind’ today? What are the things that are plaguing you, keeping you captive, holding you back? Are you afraid to speak them aloud? I believe today that God is calling us to speak them aloud so that he can deal with them, so that we are not held prisoner to them, so that they do not have control over us. We do not need to be fearful – we do not have a spirit of fear. We need to remember we are loved. We are love with an unconditional, everlasting love. 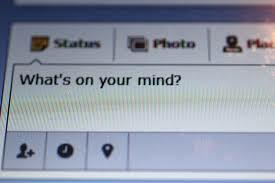 Will you tell God what’s on your mind today? The unmodified version?